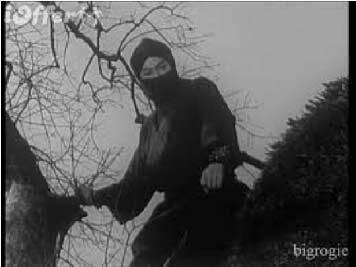 I was six years old when I saw my first ninja on television. Through a slit in his hood, charcoal eyes darted left, then right. Four heavily armed bandits started running towards the compound. The ninja leapt backwards towards the trees and melted into the shadows. He had no regard for his personal safety, only caring about getting the job done. As a six-year-old, I was deeply impressed. My mother made me a ninja outfit for my seventh birthday. I wrapped the black scarf around my head and pulled on the matching black shirt, tight-fitting trousers and ninja shoes. I slung a plastic sword over my back and set off on a grand adventure. I climbed the gum tree in our backyard, dropped down into our neighbours’ garden and crawled through the bushes patrolling for bad people. My parents and Tim the cat would sleep safely that night. I’d never felt so alive. My father, who published three works of fiction, encouraged me to read heroic stories. 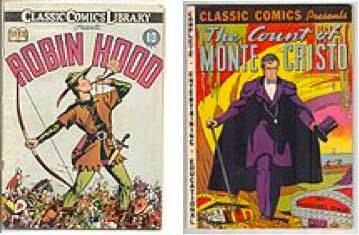 I started devouring classic tales of adventure, including the Larry and Stretch western series, World War Two comics with platoons of allied soldiers operating behind enemy lines and Classic Illustrated comics with heroes such as Prince Valiant and Robin Hood. I also clearly remember reading about the Battle of Midway where the US navy decimated the Japanese fleet in an epic sea battle. My favourite novels included the swashbuckling classics The Three Musketeers, The Count of Monte Cristo and the Horatio Hornblower series. 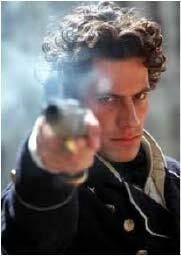 In one escapade, Hornblower is captured by the French and has an affair with a nobleman’s widowed daughter-in-law before escaping down the Loire River. There, he re-captures a Royal Navy cutter, mans the vessel with a gang of slave labourers and makes for England. It was the stuff of a young boy’s dream. Unfortunately, my reading pattern changed tack during my time at the King’s School in the Sydney Suburb of Parramatta where we studied literary authors such as Thomas Hardy and James Joyce. I can’t remember what happened in any of the stories I read. Later at the University of New South Wales, where I completed an Arts/Law degree, I began reading contemporary literary novels. The only trouble was that reading fiction became hard work for me and the inspiration from larger than life characters disappeared from my imagination. That didn’t stop me trying to write a novel about a middle-class man (me) suffering existential angst while searching desperately for love in a Californian new age retreat centre. It was a cross between literary fiction and romantic comedy. I thought it was a cool idea and, if I could pull it off, people would take me seriously as a writer. This didn’t go quite as I planned. Even my mother couldn’t finish it. Two conversations changed my reading and writing life. The first was when an award-winning Australian film director read a few pages of my genre-bending novel and was clearly unimpressed. He knew I’d been a sports journalist, had a passion for surfing and was obsessed with rugby union. He suggested I write an action novel along the lines of Musashi, which he knew was one of my favourite novels. His comments struck a chord. The epic Japanese saga is based on the life of Miyamoto Musashi, a wandering samurai born in the sixteenth-century. Every time I read it, I feel as though I’m walking in the shoes of the great warrior as he goes from using his sword for personal advancement to seeing it as a means of expanding his spirit. Still, I went back to my novel and tried to fix it up. It took six months for the ten-cent piece to fully drop. I was having coffee with another writer, telling him how I had trouble finding any novels I enjoyed reading. You can only read Musashi and War and Peace, another of my favourites, so many times. He told me about a historical novel called Ramses, about a young pharaoh coming of age. I went to the bookshop down the road, bought a copy and started reading it on the footpath. The story opened with a fourteen-year-old boy standing alone facing a wild bull, a breed that even fabled hunters steered clear of. His father stood behind him, waiting to see if his son passed the test. I stood there on the footpath and kept turning pages as people glided around me, totally engrossed and wanting to know what happened next. By the time I got to my car, I knew the kind of stories I wanted to write and once again began reading novels that not only took characters on a meaningful journey, but were entertaining and had me wanting to keep turning the page. I eventually found characters in contemporary commercial fiction that I fell in love with including, Michael Connelly’s Harry Bosch and Lee Child’s Jack Reacher. These novels inspired me and fired my imagination. What these kind of guys have in common is that they are driven not by what society tells them is right or wrong, but by their own conscience and their own set of ingrained values. I’d like to think my two main characters, Russell Carter and Erina Wing, belong in this group. They strive to do ‘the next right thing’, no matter what. They’ll either reach their goal or die trying. 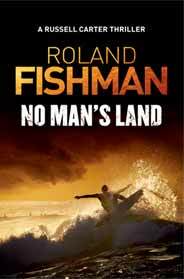 Once I figured out where I belonged as a writer, I was ready to begin No Man’s Land, the first in the Russell Carter series of thrillers.